Ann Arbor, Mich. – January 9, 2019 — The University of Michigan Ross School of Business has announced the 2019 recipients of its Honorary Paton Fellow Award. Ross alumni Eddie Hall III and Gordon Krater will be recognized during a special induction ceremony on March 21, 2019. The award is presented annually to individuals who are seen as “rising stars” within the accounting profession, for their lifetime contributions, or for their service that has positively impacted Michigan Ross accounting education. 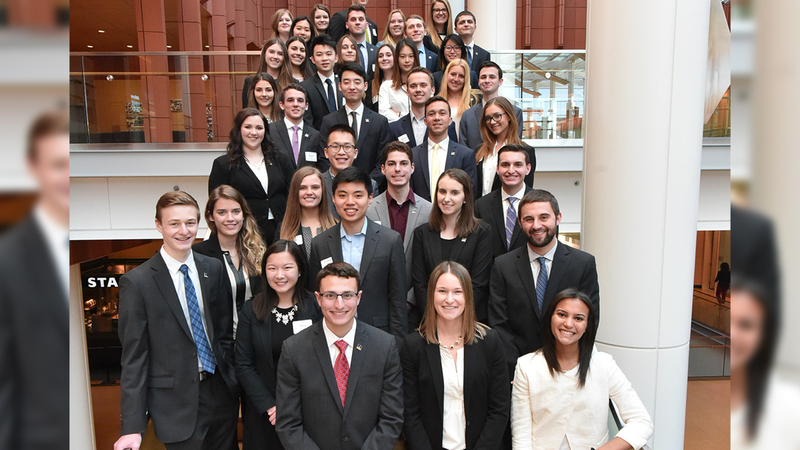 In addition to naming the Honorary Paton Fellow Award recipients, University of Michigan juniors and seniors with exemplary academic performance are named Junior Paton Fellows. 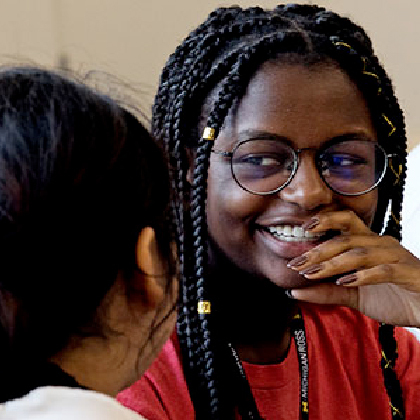 Junior fellows who go on to pursue a Master of Accounting degree from Ross, and maintain a 3.5 cumulative GPA, will receive tuition assistance of at least $15,000. Hall is a two-time Michigan Ross alum, earning his bachelor of business administration in 2009, and his master of accounting in 2010. He is the general manager of the Hall Automotive Group, which has controlling interest in three Metro Detroit dealerships: Briarwood Ford, Royal Oak Ford, and Vicksburg Chrysler Dodge Jeep Ram. In addition, Hall is the managing partner and chief financial officer of Northland Chrysler Dodge Jeep Ram, which was acquired by the Hall Automotive Group in July 2018. While attending Ross, he was the student director for two Ross outreach programs -- MREACH and LEAD -- and founder of the Master of Accounting (MAcc) Student Association. Hall served on various alumni boards at Detroit Country Day School and U-M, and regularly volunteers with Ross outreach programs. Krater received his BBA from U-M in 1980, and is former managing partner and CPA at Plante Moran. He joined the company after graduation to follow in his father’s (another U-M grad) footsteps into public accounting. During his 38-year career with Plante Moran, Krater held a variety of positions before rising to firm overall managing partner, where he guided the client service, growth, talent development, risk management, and strategic direction of the firm. He is the co-author of Succession Transition: A Roadmap for Seamless Transitions in Leadership, and active member of the Michigan Association of CPAs, New Detroit, the Detroit Regional Chamber of Commerce, and the United Way of Southeast Michigan. 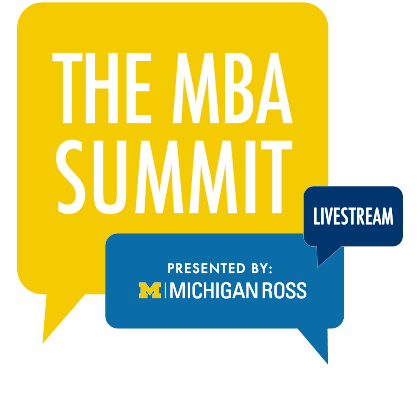 The Stephen M. Ross School of Business at the University of Michigan is a long-time pioneer of distinctive, action-based learning grounded in the principle that business can be an extraordinary vehicle for positive change in today's dynamic global economy. 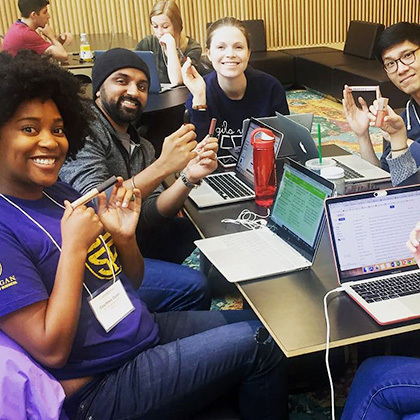 The Ross School of Business’ mission is to develop leaders who make a positive difference in the world. Through thought and action, members of the Ross community drive change and innovation that improves business and society. 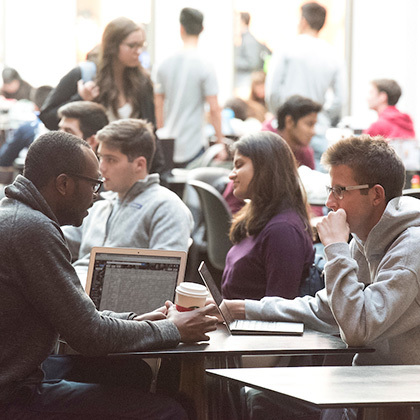 Ross is consistently ranked among the world’s leading business schools––its full-time MBA program was recently ranked #7 by U.S. News and World Report, and Ross Part-Time programs have been ranked #6. Academic degree programs include the BBA, MBA, Part-Time MBA (Evening, Weekend, and Online formats), Executive MBA, Global MBA, Master of Accounting, Master of Supply Chain Management, Master of Management, and PhD program. 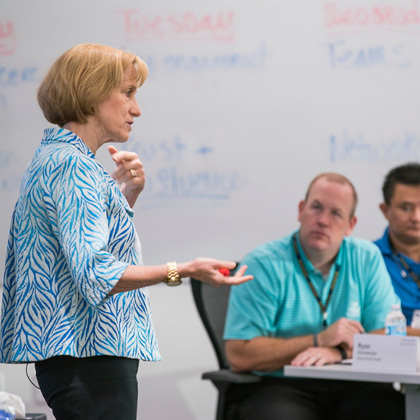 In addition, the school delivers open-enrollment and custom executive education programs targeting general management, leadership development, and strategic human resource management.